Things haven’t been exactly going Barry Allen’s way lately. 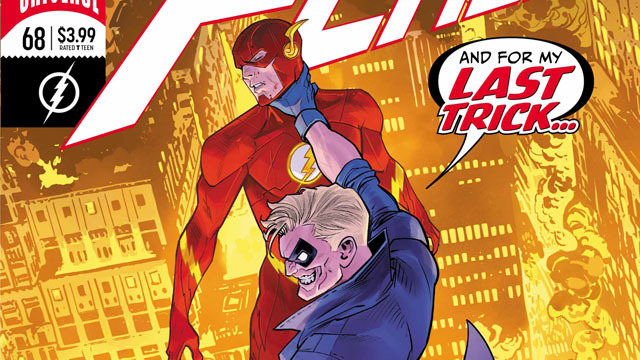 The Flash lost his protege, Wally West, to the events of Heroes in Crisis. That’s the reason that Iris West has walked out of Barry’s life. It’s also why Barry’s professional friendship with Batman has crumbled. In the first part of “The Greatest Trick of All,” Joshua Williamson and artist Scott Kollins brought Barry home to Central City. Much to his astonishment, the city is crime free and everyone is much happier without the Flash. Unfortunately, the Trickster has seized control of the city, and he’s forcing everyone to be “happy” on pain of death. And even Barry can’t fight back without exposing his secret identity. In Superhero Hype’s exclusive preview for The Flash #68, Williamson and Kollins reveal how the Trickster is brainwashing his victims. Now, Barry knows the truth about what happened. He may even be able to resist the Trickster’s brainwashing. However, without any allies to call upon, even the fastest man alive may come up short. You can read the full exclusive preview in our gallery below. 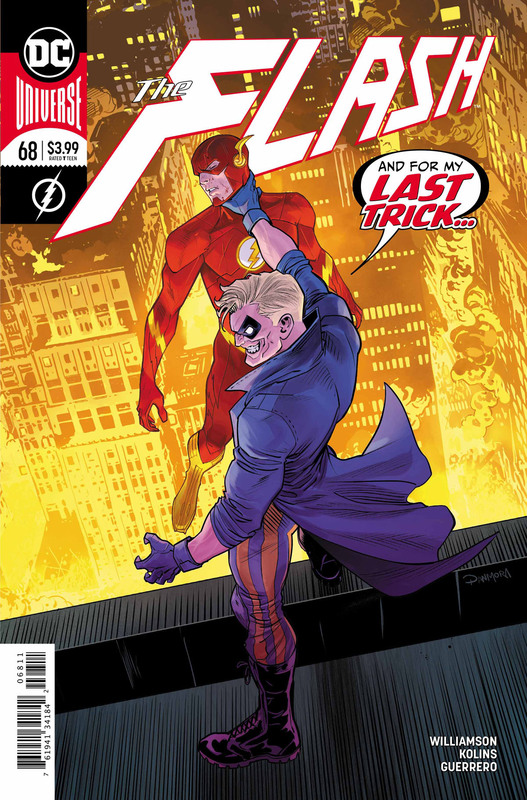 The Flash #68 will hit comic shops on Wednesday, April 10. Let us know what you think in the comment section below!